Bethann Hardison sat down with the reporters on Arise TV to discuss her ongoing initiative to promote diversity in the fashion industry. The former fashion model recognizes the way many women of colour are often shut out of some high profile companies when it comes to fashion shows and major advertising. 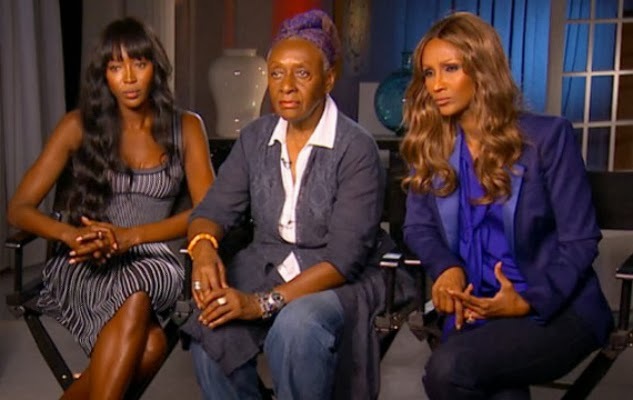 Naomi Campbell, Bethann Hardison and Iman make their appearance on Good Morning America in early September. The two supermodels are big supporters of the coalition headed by Hardison to promote diversity in the fashion industry.